Six months into transition back to my natural hair I was ready to chop off my relaxed ends. The relaxed seven inches of hair that no longer validated my beauty. The relaxed seven inches of hair that I believed that I no longer needed to feel accepted by my peers. The relaxed seven inches of hair that I held on to because I thought that my then boyfriend would hate seeing me without. On July 7th, 2011 I big chopped my transitioning hair without any regrets. I stood in the bathroom of my now mother in law’s home with a pair of shears and chopped away. With every clip and snip of relaxed hair I watched fall to the floor I felt instant satisfaction. I was ready to go into my junior year of high school with a new-found freedom. A new-found freedom that was deeper than my hair and resonated within my heart and mind. Today I am ready to share with you the seven things that I have learned during my 7 years of being natural. Taking the time to learn about your hair type, density, and porosity is worth learning about YOUR HAIR. When I first big chopped learning and knowing about your natural hair curl pattern was the hype. There was not much talk floating around the natural hair community, forums, and even with many licensed cosmologist about low porosity, medium porosity, and high porosity hair. During that time all I understood was that I was a colored treated natural, glycerin products made my hair sticky and unruly, and that I loved doing wash n go’s. When you take the time to learn more about your head of hair you can save so much money on purchasing hair care products. You can learn so much about how to develop a hair care regime that will work for you. You will grow to value your decision for going natural in the first place. Your natural hair journey is yours. Embrace it and to own it. I was 17 years old when I first made the decision to go back natural. I was natural for majority all my childhood up until I made 15 years old. I grew up being bullied for so many reasons, and one of those crazy many reasons was because of my natural hair. Once I went back natural I owned it. I embraced my natural! I was not afraid and could have cared less what anyone at my high school had to say about me and my hair! Chile, my confidence was powerful. Owning your natural hair journey with grace and being non-apologetic about your beauty is an amazing thing instill. I did not know the true meaning behind retaining moisture with wash n go styling until this year. I learned so much about wash n go styling and maintenance from discovering Anthony Dickey from the Hair Rule’s Salon in New York City on YouTube. This year I started researching about my hair type and porosity and how it plays a crucial part with my wash n go styling. I realized that I have been going about my wash n go’s all wrong for years. I used to style my hair in a wash n go and leave it be with refreshing my hair throughout the week with water or a conditioner mix in a spray bottle. I was stretching my wash n go’s without any hesitation. Little did I know neglecting cowashing mid-week with wash n go styling took a toll on the health and integrity of my hair. I now know that “for me and my hair” wash n go’s are only as drying to your natural hair as you allow them to be. If you are a lazy natural with type 4 hair, it’s just best that you pick and choose when you want to rock a wash n go. Clarifying my natural hair and scalp weekly prevents product build up. 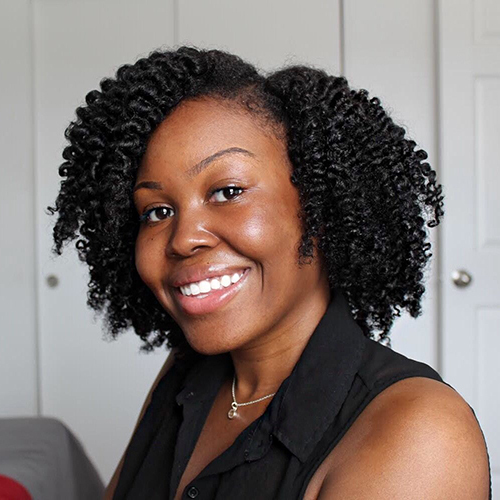 A year into my natural hair journey there started to be a sudden out roar about how using sulfate-based shampoos was horrible for your natural hair. I did not blink twice as I heard and watched many natural hair YouTubers during that time tell their subscriber’s and viewers how they turned away from sulfate shampoos. I knew that sulfate shampoos were beneficial to my natural hair care journey. I was not ready to stray away completely from the feeling and appearance of my hair and scalp being freshly cleansed with a sulfate shampoo. When you know what works for your hair and scalp after years of being faithful to the routine then it becomes a little difficult to throw it all way. Years later, you now see and hear a diverse range of women and men talk about the pros of using a sulfate shampoo even if it is just once a month on their natural hair and scalp. I do not have an attachment to my natural hair; just a pair of shears. If you do watch my YouTube videos and are subscribed to my channel then you already know…say it with me friend, “That I am a scissor happy natural!” There’s just something about trimming, dusting, or just even getting a shape up done to my hair that excites me. I have done 4 big chops on my natural hair during these past seven years. I also do not regret one of my big chops. Within the time of me being natural, it has taught me so much about how the health matters before the length. I once was obsessed with trying to grow my hair out. I searched for every growth pill/gummy, hair oil, and hair product to get me where I desired my hair to be. I had to learn how to chill out with wanting longer hair and work on healthier hair. My obsession with bleaching my own hair at home had caused more harm than good. I was seeking validation from others on having the boldest hair color and candy looking curls. Once I started learning how to let go of the damaged hair and accepting my kinks and curls for what they were, life just had gotten easier. Covering up bad dye and bleaching jobs is not worth it. Like I told you I use to be obsessed with coloring my hair. I made plenty of mistakes with alerting my hair color that could have resulted in me walking around with limp and damaged curls. With every failed hair color attempt, I would find another semi or permanent color to place on top of it. I kept trying to cover my mess ups for about the first three years until I started cutting away at my damaged hair. It took me learning more about the damage I was covering up to teach me to give up trying to look apart. Now that’s a word for somebody somewhere! Being a natural hair product junkie isn’t all that bad as it may seem. 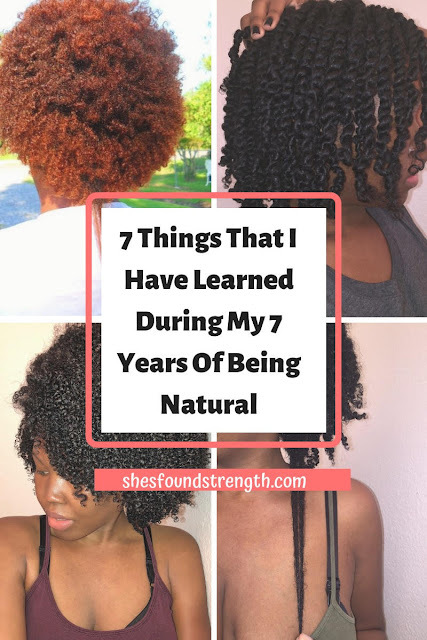 I shared a story on my blog a year ago about how I was a recovering natural hair product junkie. You can click here to read it if you would like. Okay, so I realized that I could not just back away from discovering or even trying new natural hair care products. I had become so invested and I’m not just talking about financially into trying new hair care products. I was not tired of the rush of excitement in trying something new and sharing my thoughts and opinions about it to my subscribers and viewers on YouTube. One thing that I will add is that I am not a selfish product junkie. I love to give away or even sell hair care products that know someone else can use and enjoy. Being a natural hair product junkie has also made me more aware of what products and ingredients that I choose to place onto my hair and scalp. In addition, I can appreciate how much the natural hair care companies small and large place into the quality of creating their brand and products.